This is the first in a series of Organs of the Month following BOA's outing to York in 2017. The largely 15th century church is the oldest in the world dedicated to the patron saint of Norway, Olav. A 19th century two-manual instrument by Conacher existed here until 1907, when it was transferred elsewhere and replaced by a Walker instrument of 3 manuals and 28 stops. In 2004, this was greatly enlarged by the local firm of Principal Pipe Organs, but retaining much of the Walker pipework and adding two ranks to the Choir division from an organ by Henry Willis. Thus it now has a very complete specification for a parish church organ, with the latest rebuild also providing solid-state switching and piston capture action. 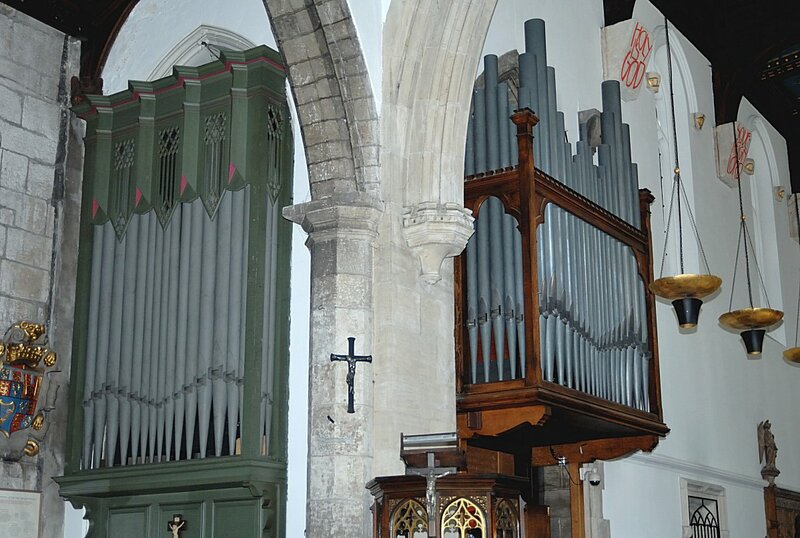 There are two cases (see left photo): the south-facing chancel case comprising 29 pedal pipes, while the west-facing aisle case has 20 pipes of the Great Open Diapason. 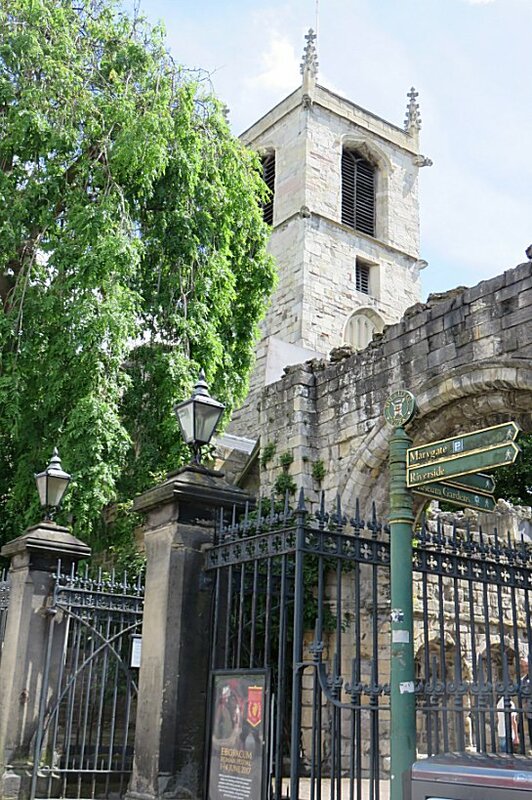 This is to be the host church for the IAO's Yorkshire Organ Day held during April 2018, when there will be presentations by Keith Wright (Director of Music) and Max Elliott (assistant DoM). You can watch a video of Max Elliott playing another York organ as April 2018's Music of the Month.